Hi Saulius, here are your manufacturing documents, including the part by part DXF files. Please note, this is a processing service only, we haven’t reviewed your project before processing. To curve the cut string you must make reference a curved side. In you case as it’s the right side of the stair that is curved you must set the string up as a right string and off set it from the right. Then add curved sections to the right side and the string will follow. However it’s not yet possible to add the handrail as in your image nor is it possible to give the foot of the string the same shape as your image. Theses adjustments must be made by exporting the StairDesigner DXF file to a CAD program. We can send you the DXF files of the stair which can then be loaded into CAD for editing but it’s not actually possible to load a CAD file into StairDesigner. This functionality is something that the developers are working on and we should see it in a future version. 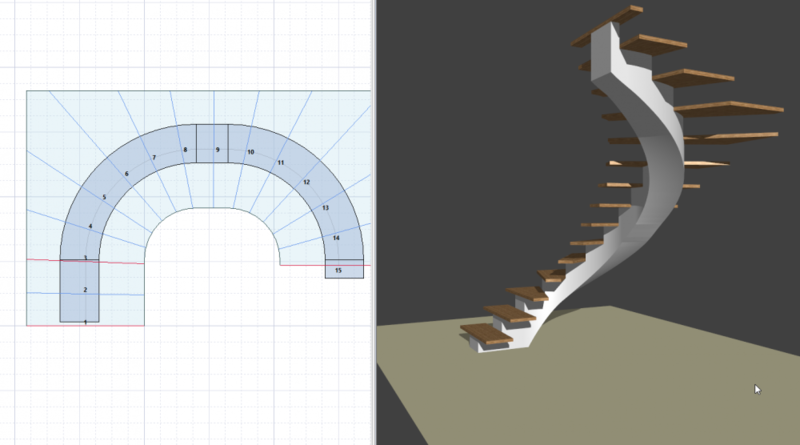 I attach the StairDesigner model that you can use as a basis for you project. Sorry but I can’t see you files. to upload files please click “upload attachments” and drag and drop the files into the upload window. Then make sure to click the “start upload” button to upload the files. 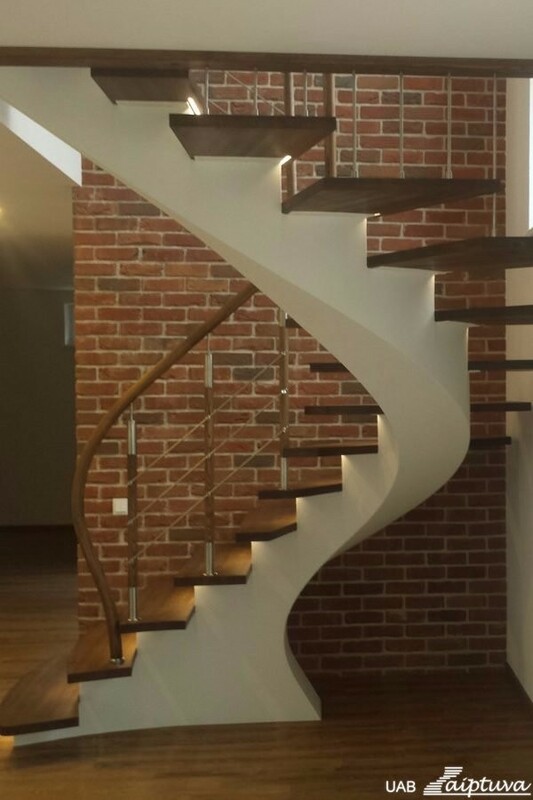 Once the StairDesigner file uploaded we can advise you and eventually send you the DXF files.